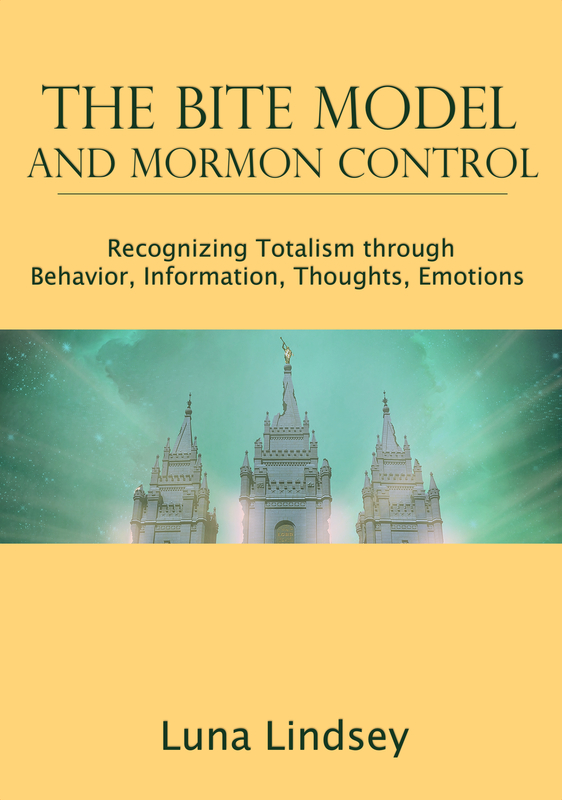 April 2015 LDS General Conference seemed to have one major theme: Apostasy. The majority of talks were about bolstering personal faith in the face of doubt and dealing with wayward loved ones. This session seemed as reactionary as last fall’s. Then, in the context of legalized marriage equality, leadership emphasized family values. This conference, in the context of political controversies (such as John Dehlin’s excommunication), and in light of the increasing tide of members who are struggling or outright leaving, it was as if leadership desperately tried to put the steam back into a suddenly boiling pot, as if these issues are new and emergent, when in fact, this atmospheric pressure has been slowly building for many years. Leadership resorted to old, previously tried and true methods to retrieve and retain members. But those methods haven’t been working lately – and preaching reminders from the Conference pulpit isn’t going to make them work any better. The lid has already blown and the pot boileth over. Any attempts to put the water back will only smear it around and scald the skin. In addition, the response to gay marriage continued. The women’s session primarily focused on family. The general sessions were sprinkled with several family values talks, and Hales gave a whole talk on protecting religious freedom — a reaction to the perception that marriage equality somehow will infringe on LDS civil liberties. 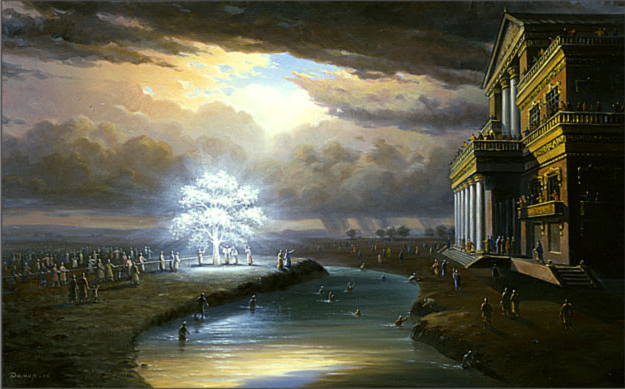 This post is a review of several talks, and in separate posts, I will provide an in-depth analysis of two particularly interesting talks: Elder Pearson’s “Stay by the Tree” reminded listeners of the usual LDS thought-stopping techniques to use when facing doubts. And Elder Bednar’s talk “Therefore They Hushed Their Fears” outright instills and reinforces previously-instilled phobias. Stay tuned for these reviews. Amid all this, evidence of the growing dissatisfaction of members showed itself. Nine Mormons stood during the sustaining of the leaders and noted their lack of support by shouting “Opposed!” when President Uchtdorf invited those opposed to so manifest it. To anyone outside Mormondom, this might seem rather ordinary. 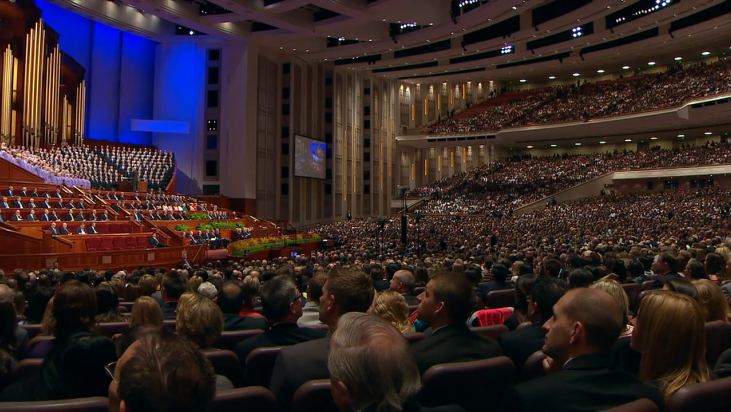 However, in LDS contexts, sustaining votes are always unanimous in favor of supporting the leadership. I think we can expect more of the same next fall. Lucifer wanted to take our agency away, so in punishment, God ostracized him for eternity. For expressing his opinion, exercising agency, and standing for what he thought was right, Satan receives the celestial death penalty. But somehow God is on the side of agency. If I’d been Satan, I’d’ve been pretty confused by that, too. And I’d be pissed about it now. The implication, of course, is that we’d better follow God, or else. But… you know, we have agency. But fear God. But we have agency. Same old double-think. There are of course workarounds that try to excuse God’s stance (thereby causing the story to sorta make sense). Such as, “There are eternal laws that even God can’t violate,” and “All choices have natural consequences.” But that doesn’t change the fact that in reality, Satan didn’t really have a choice, and that any choice that involves an eternal punishment for screwing up, isn’t a true choice. So at first, I wasn’t going to address Hales’ talk, since I cover all of this elsewhere. But the religious freedom part of his talk got me quite riled. Nowhere in the Constitution does it say that religious people shall be free from criticism. Nowhere even in the written philosophies of the Founders of the United States, or in the works of their preceding Enlightenment thinkers, was this idea seriously considered or promoted. In fact, several beloved authors of the religious freedom clause of the Constitution said and did the exact opposite. 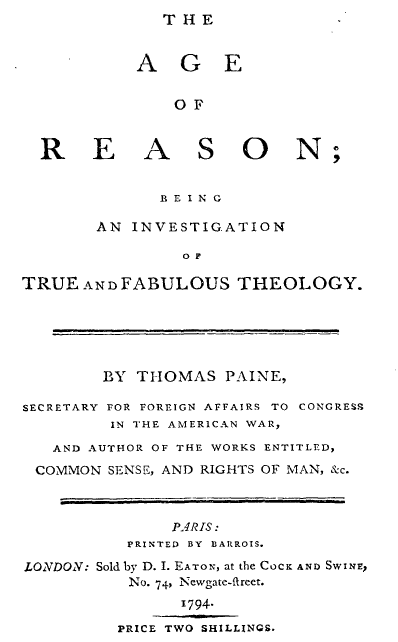 Many were were harsh critics of Christianity, including Thomas Jefferson, who edited a version of the Bible to remove all supernatural content, like miracles. Yes, religious freedom includes freedom from physical attack and other types of real oppression and persecution. No, religious freedom is definitely not freedom from criticism. If the Mormon Church followed its own standards here, leaders would respect my freedom to believe the things I do without any hint of complaint or judgement. They would refrain from criticizing people like me, and they especially would stop encouraging members to hound apostates to come back to the fold, like Neilson does in his Prodigal Son talk. By so doing, I am celebrating religious freedom. Not just my religious freedom, but also the freedom of members and exmembers who want to listen to me, and the freedom of those members who think I’m nuts. They have full agency to go right on thinking I’m mocking, evil, can’t let it go, angry, sinful, or whatever other things they want to believe. When they think and say those things, they too are exercising their religious liberty. We all are. Mormon teachings also often conflate criticism with persecution. These are actually two very different things, and I unload the loaded term “persecute” at greater length in Recovering Agency. Go look these words up in a dictionary. Here, I’ll help. 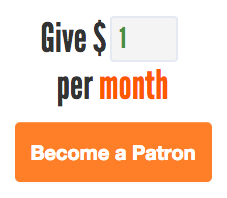 You just have to click: Persecute. Criticize. This is definitely not a cornerstone of religious liberty. It’s certainly something some people choose to do when exercising their religious rights, but religious liberty does not require proselytization. In fact, many religious refrain from doing so as a matter of principle. Again, double-think. 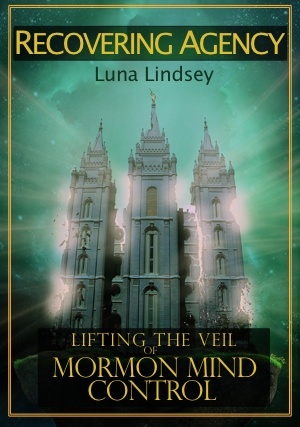 There’s a big difference between proselytizing (especially the pushy kind Mormons practice) and asking for tolerance to privately live one’s own spiritual beliefs. Somehow he manages to equate these two in the same breath. He also seems to be asking for “freedom from offending” no matter what Mormons do, as if Mormons should be able to act however they want without causing offense. And yet, he still holds to his own freedom to be offended when his own beliefs are criticized. The freedom to proselytize is a protected right, but it is not a cornerstone to religious freedom. 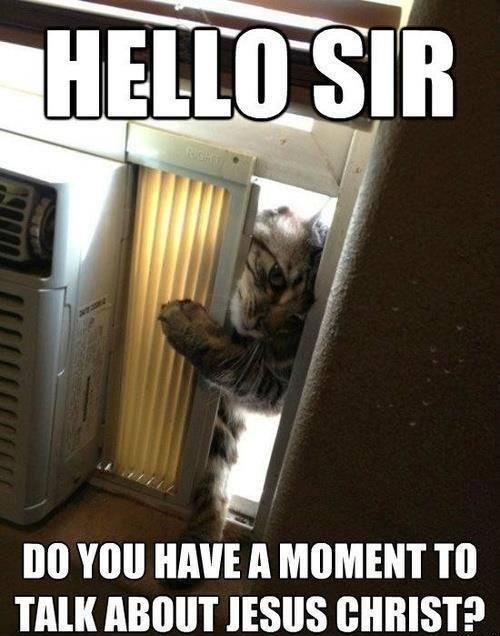 Sometimes atheists proselytize, too. But not often. I’m not really sure how religious freedom is under attack. Is there a movement in the US that opposes religious freedom? None that I know of. And as a secular atheist, I’m definitely all for religious freedom, and would stand beside my Mormon brothers and sisters, should it ever (actually) come under attack. Legalized gay marriage isn’t an attack, even if it might feel like one. We are allowing gay people the same rights to practice their personal convictions, in the pursuit of happiness, just as straight people do. Here’s something else that isn’t an attack: requiring businesses to treat all people, regardless of race, nationality, gender, ethnicity, religious belief, or sexual orientation the same. This is a long-standing precedent that actually protects religious freedom. It means business owners can’t persecute or oppress individuals by denying them homes, jobs, food, goods, or services. Imagine living life where at any moment a business can deny you these things just because you’re, say, Mormon. The only change now is the inclusion of sexual orientation as a protected class. Enough negativity for now. I’d like to give some kudos to Sister Wixom’s talk, “Returning to Faith.” True, she did direct members on how to stay in the Church in spite of doubts, so in that sense, I took issue with it. But most of the talks were about that. Her’s stood out because it also called for tolerance – even acceptance – of those who stray. Her talk was refreshingly anti-shame and pro-empathy. 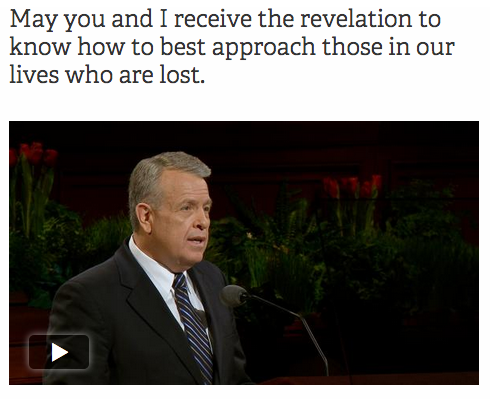 If this was the worst of LDS manipulation, churchwide, I’d not have much to complain about. 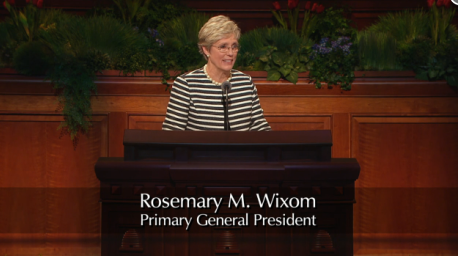 If all general authorities spoke like she did, Mormons would be consumed with genuine compassion. Abuse rates would fall, the depression epidemic would end. There would be fewer broken homes and fewer suicides. If she ran the Church, you’d see lots more of what we used to call TPLC, “The pure love of Christ,” unconditional, no-strings attached love for all. Her message was directly counter to us-vs-them messages, too. In the story she tells about a woman who is losing her faith, she is sure to remind us that this sister did not wander because of “bad behavior, spiritual apathy, looking for an excuse not to live the commandments, or searching for an easy out.” Exmormons and those who struggle are often accused of these, so it was a relief to hear her characterize this wayward sister’s doubts as genuine. Because they usually are. She spoke of how those around this woman extended love and courtesy, and did not expect perfection from her. This is a much needed message, and I hope it wasn’t overshadowed by the demands for perfection in the other talks. Of course the moral of the story is how this woman rediscovered her faith. This ending is less common in reality than is portrayed from the pulpit, and the point of the story is a little manipulative. (Everyone comes back, of course, because it’s the Truth™.) But the rest of her message I approve of. Unconditional love means total acceptance of a person for who they are. Doubts or even total loss of faith should not be grounds for painful judgements, shaming, or ostracism. Grace is available only to those who submit and place themselves fully under the control of LDS leaders. But you can trust him. He’s so nice! When I was still LDS, I lived for these kinds of awesome insights and calibrations on old assumptions. While I don’t believe in salvation at all, either via works or grace, grace is a more gentle, less coercive doctrine, so it was good to see this promoted here. 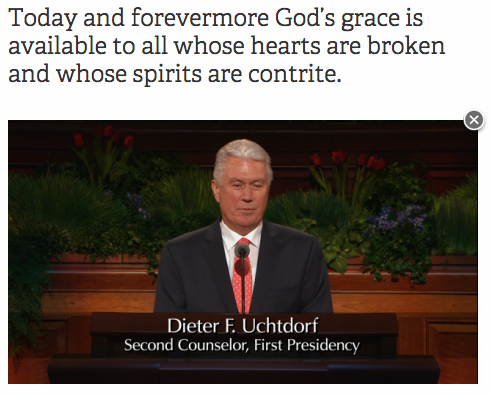 Nevertheless, Uchtdorf’s work is undone in other talks. Old assumptions about works, works, works and fear, fear, fear are particularly pounded home through Elder Bednar’s talk, which I will examine fully in a separate post. Lastly, Elder Neilson’s talk, “Waiting for the Prodigal,” attempts to comfort family members of apostates. Like Wixom’s talk, the assumption is that the apostate always comes back, eventually. Which will not provide any kind of lasting comfort, and it continues to drive an unnecessary wedge between families. You could start by not referring to us as “lost.” Hi, I’m right here. And I can hear you. It could have been a talk about how everyone is free to choose their own spiritual path, no matter what it is. Even if it leads them away from Mormonism, faith (or lack thereof) is a deeply personal choice that shouldn’t be judged, shamed, or pushed. Neilson could have told members and exmembers alike that we can still share our lives in harmony in spite of, or even because of, religious differences. Instead, it was a talk of intolerance couched under the guise of love, and not too unlike Elder Oaks’ talk last fall (okay, not quite as bad as Oaks). We are “lost,” spoken as if we’re dead somehow or out of contact. Her family was “loving,” “patient,” and “in touch with the Spirit.” They acted “kindness” and “caring”. Susan seems only valuable to her family in relation to the Church. Susan’s only characteristic of interest for this family is in getting her back into the fold. In telling the story from this exclusive perspective, it does what we writers describe as “the character has no agency,” i.e. Susan’s only purpose in the story is to serve her family’s needs. This language conveys that Susan wasn’t herself without the Church. As if she wasn’t herself when she was getting a degree. When she was taking care of her niece and doing all the things she loved to do that weren’t even mentioned in the story. Only once she feels the Spirit and comes back to Church can she be herself. It’s terribly dismissive. As a person who didn’t fully find myself until after I left the Church, I’m a bit insulted. My entire path, which I value greatly, is judged meaningless, frivolous. As if I haven’t discovered what’s important. One thing has always bothered me about the Prodigal Son parable. This story is often used as an example of how kids go off into the world and do stupid things, and parents grieve because that child is lost. All they can do is helplessly wait and/or pressure the child to come back. But… Why didn’t the father of the prodigal son go visit him? Why didn’t the father want to share in his son’s new life, in the new joys he’d found? Why didn’t the father try to understand his son’s point of view, with genuine empathy and esteem for his son’s own intelligence? Why didn’t the loving father want to guide the son in his son’s chosen world? Not with a one-size-fits-all model of righteous living (thou shalt not party), but with practical guidance on how to manage and maintain his inheritance in a way that respects his son’s autonomy? Or even just to show up at the pig sty and just “be” with his son, without judgement, but only in love? Why does the son have to be at “home” for the father to share in his life? Why is it up to the son to come home in order for them to have a relationship? This perspective makes no sense to me anymore. My children don’t believe exactly the same things I do… and they’re no less my children. I feel no sorrow because they’ve found other kinds of meaning in life. When we disagree, my attempts to persuade are out of respect for their intelligence, and I allow them to try to persuade me in return. And sometimes they do. Often they do. To me, this is unconditional love. They’re still very much a part of this family, and what they believe won’t change how I include them, or my esteem of them. I expect them to be different than I am, because individuation is a healthy part of growing up. As a mature parent, I understand that. And isn’t that also free agency? I’m not going to hold my love (and interest and attention) hostage to their belief system or their choices of how to dress, what to eat or drink, who they date or live with, what political causes they champion, who they pray to (or not), or what they do on Sundays. Trying to manipulate my children into believing as I do isn’t love. And the idea that I would need to is divisive. It doesn’t bring families together; it divides them. Particularly in this time when so many people are “falling away” from the Church, it’s particularly damaging to promote this worldview. I wish the Church would speak more about letting family members make their own choices, and sharing (both ways!) with a sense of equality and respect for all spiritual paths (or lack thereof). I’m sure the leaders of the Church are trying to save as many souls as they can, and they perhaps think these kinds of pressures, which have worked well for over a century, will continue to keep members on the straight and narrow. But the internet has changed all that. Given how many people are leaving, the Church is going to have to come to better terms than this. You cannot staunch this bleeding by stabbing it with Q-tips. Instead, save souls by healing them. Work to bind families together especially when there are differences. Teach them true love, and stop dividing them with these kinds of talks that dismiss, belittle, demonize, and dehumanize former members. It should be interesting to see what fall Conference will bring. Will they remain reactionary, doubling-down on manipulative themes of saving lost sheep and clinging to faith no matter what? Or will they, perhaps, begin to adjust to the changing landscape? Might we see more more talks like Sister Wixom’s and Elder Uchtdorf’s? Perhaps an overarching theme of acceptance and true unconditional love? Or even a message that it’s okay for members to live by variants on the truth, so long as it’s with kindness and integrity? As one who is against all forms of ideological totalism, my hope ought to be clear. I’m rooting for a transformation to a Church that will truly open its arms to all. Even those with small or large doctrinal differences, those who have different concepts of sin, those who make their own kind of families, and yeah, even those of us who have zero faith in God remaining. Stop trying to change people into molds they won’t fit. Stop being one-size-fits-me-fine-so-it-should-fit-you. Let members (and exmembers) follow the dictates of their own conscience, even if it it’s not identical to yours. Not only would this be the compassionate, christlike thing to do, but it may be the only effective strategy the Church has to save it’s ever-fleeing membership. It ought to at least be worth a try. BRAVO! If only GC were as soothing as your analysis of it.